VIVID ER FYRSTI BOLTINN SEM FRAMLEIDDUR ER MATTUR OG SÁ MEST SELDI. VIVID hefur slegið í gegn síðan hann kom á markað 2016! 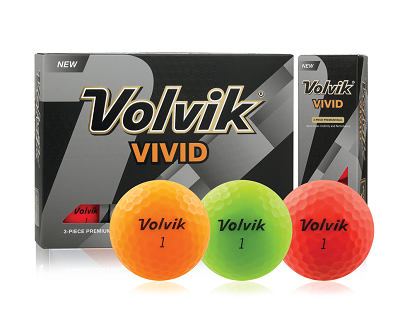 - Ultimate Distance with Softer Feel and Greater Energy Transfer from the Highly Resilient Power Core. - Less Glare for Higher Visibility, Ball Striking, and Focus. - Higher Greenside Spin for Accurate Pin Control.